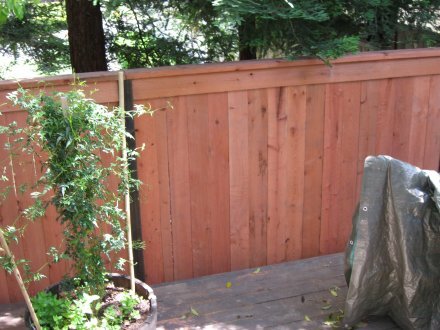 We have a new back fence, Gavin insists it is redwood, I think red is being generous, the fence is bright a bright pink-salmon color. It makes quite a stark contrast with the deck and the fences dividing up the individual backyards. Gavin insists it will fade with time, until then, we’ve got a pink fence.